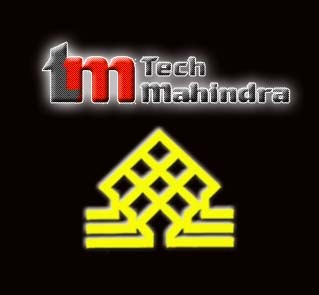 Information technology company Mahindra Satyam (earlier known as Satyam Computer Services Limited) is likely to announce a pay hike for all its employees on July 1. This, according to a top executive of the company, follows Mahindra Satyamâ€™s annual appraisal process 'ASPIRE', which begins in April and ends in June. "It is progressing as scheduled," the executive said. The exercise applies to the entire 25,000 associates (as Satyam calls its employees) and will be communicated internally to the company's leaders on June 21. While declining to share the final quantum of the salary revision, he said: â€œWe havenâ€™t closed the loop internally, as yet. The pay hike will be announced on July 1." The company is also in the process of hiring 1,000-1,500 laterals (or experienced hands) in â€œsync with its growing businessâ€�, said the executive. â€œRecruitment of 3,000 freshers is now more or less concluded and the next thing we are going after is laterals, which is going as per the schedule. We will be having about 1,500 laterals on our rolls this quarter and the next quarter. Given the growth, we may continue to hire more in the coming quarters,â€� said the executive. Key leadership hiring in different pockets â€“ a few from other companies â€“ to beef up the company's sales efforts is currently on, he added. Wins from new and existing customers continue across various continents from a multi-year contract with an auto major in Japan to government accounts in Singapore, from a global energy drink giant in Australia to a retail chain major in South Africa and from an electricity and water management authority in West Asia to major banking institutions in Europe. Additional Business from large customers in the US is also helping augment Mahindra Satyamâ€™s position in the market, he added.